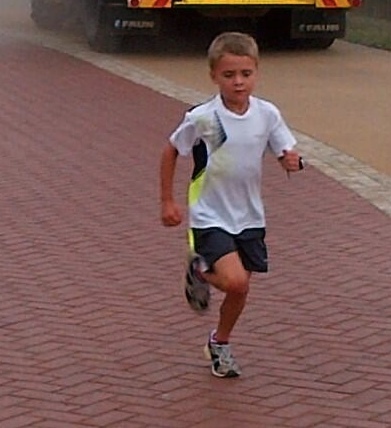 In this edition of the newsletter, Roodepoort parkrun enjoys celebrations all round while young runners excel at North Beach parkrun. We take a look at the Woodlands parkrun course which launches on the 6th of April. Excitement builds as runners prepare for the Two Oceans Marathon and see what SA parkrun sponsor, adidas, has to offer at the Expo. It feels a little like the proverbial “calm before the storm” with numerous new parkruns scheduled to start in South Africa in the months ahead. Bruce and Gill Fordyce are both in Australia for the better part of March, it offers local parkrunners an opportunity to connect with what international parkruns are about. Certainly many of us would love to be in their shoes and we wish them the very best time down under. A number of our South African events have been fortunate enough to be visited by international guests. The response has been positive, with new friendships being formed. It was particularly rewarding to wake up early on Saturday morning, in preparation for another parkrun, and to look up Australia’s inaugural Parramatta parkrun results and finding good solid runs by both members of team Fordyce. Having run in that same historical park myself back in the mid 1980’s, it afforded a trip down memory lane. The lure to experience other parkruns around the world is certainly fed when you see photographs of fellow South Africans doing just that. The interaction with other parkruns via Facebook and Twitter is very rewarding. Notably, on the same day that Australia clocked a new record field at Newy parkrun, Newcastle, South Africa set its own record field at Nahoon Point. There was instant recognition and friendly chatter between us. Needless to say, a healthy rivalry and respect has developed. Viewing the photographs from the various runs around the country and getting a better feel for the diverse nature of courses and what they offer our parkrun community. 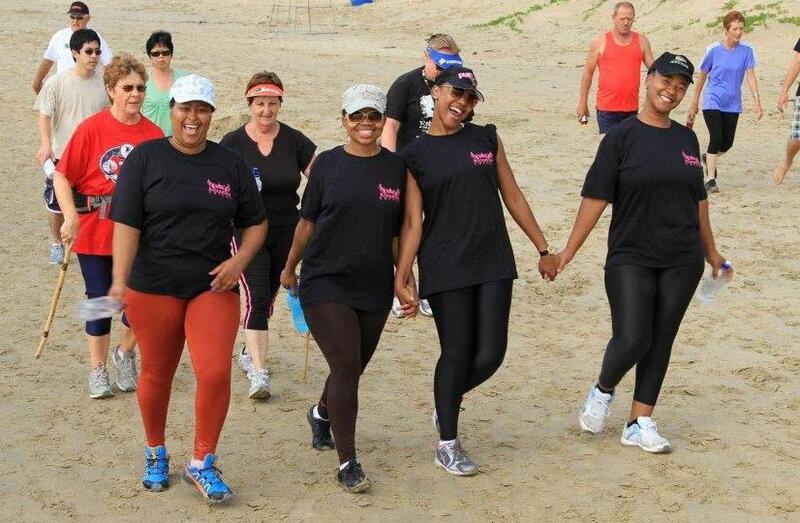 This diversity will extend even further as we head towards the opening of more parkrun events in KwaZulu-Natal and the Eastern Cape along with the much anticipated launch of parkrun in Cape Town. The Two Oceans Expo, in the build up to the Easter weekend, will include a parkrun South Africa stall, so please do encourage anyone you know who is headed that way to pay us a visit and get to know a whole lot more about the phenomenon of parkrun. Enjoy what is left of the summer weather, along with the advent of autumn and let’s all look forward to the challenges of our generally “mild” winters, albeit that each region of South Africa is so different. You have to love this land and the surprises it offers each week. From an exciting retail area featuring the latest in running gear, to a personalised commitment wall where runners can share their goals, the 1000m² adidas stand at the Old Mutual Two Oceans Marathon expo will captivate runners for hours. The latest adidas running innovation, Energy Boost footwear, will be prominently displayed with an experiential component for runners to test out. The stand features a comfortable lounge area where brand ambassadors such as Ross Tucker, Rene Kalmer and Irvette van Zyl will be available to meet with runners and chat about the weekend's races, as well as the adidas running ambassadors. The adidas Technical Reps will conduct foot scans to assist runners choose the footwear best suited to their style of running and will be on hand to answer technical questions. Best of all, there will be a wide range of men’s, women’s and children’s footwear, apparel and accessories available, both with or without Two Oceans Marathon branding available for purchase. Remember to show your race entry at the adidas pay point to qualify for a 10% discount on adidas products (excludes Energy Boost footwear and the Two Oceans Marathon branded range). 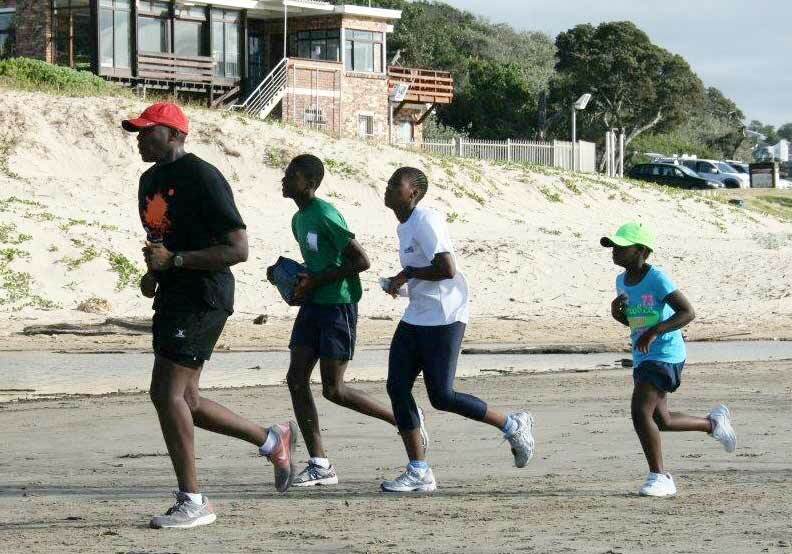 With parkrun growing in popularity in Durban, we have seen a number of youngsters getting involved. We have seen many of our under 13’s crossing the finish first and at one event, we had the first 3 parkrun finishers having a combined age of 37 (13, 13 and 11). We love seeing the entire families taking part each week, so thanks to everyone for coming along! We hope to see you at our next parkrun! Roodepoort parkrun has seen a steady growth in numbers and is averaging on 70 parkrunners at each event. We are approaching our first birthday next month, so keep a lookout for the birthday celebrations planned in a few weeks time! There have been many achievements from our members on and off the grassy parkrun route. A number or junior runners have achieved their Club-10 status with many more on the way to being acknowledged with their T-shirts. 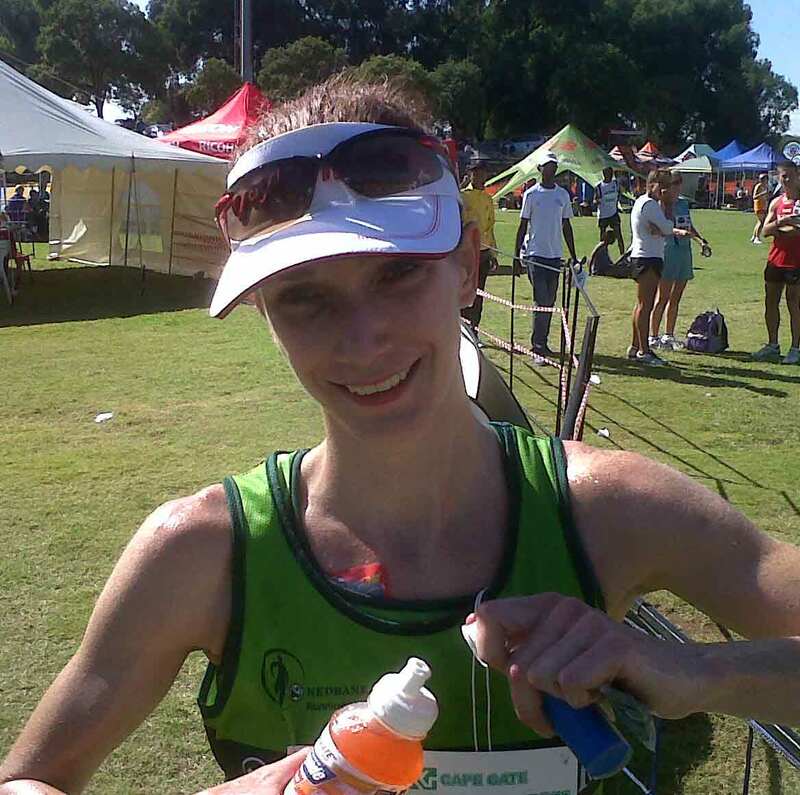 Congratulations to Roodepoort parkrun’s current record holder, Ann Boniwell, for winning the Vaal Marathon on Sunday the 3rd of March! We are proud to have runners and walkers of all abilities at our event and we encourage everyone to spread the enjoyment you get out of it by inviting others to join us. 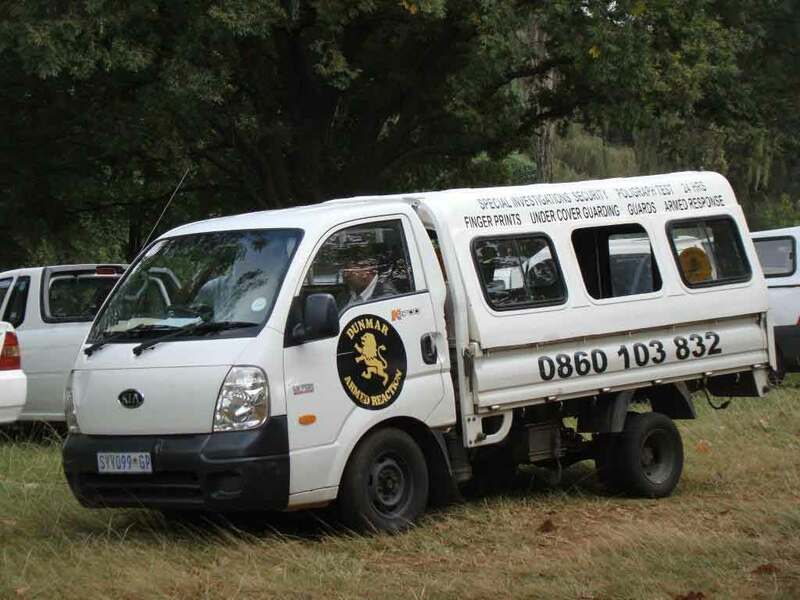 In the spirit of community involvement, Dunmar Security has been attending our parkrun on a voluntary basis to watch over our parked cars while we enjoy ourselves every Saturday morning. Thank you Dunmar! Over the past few weeks, our runners have been offered water sachets at the finish. Hans Jung, who supplies local races, donated these water sachets to Roodepoort parkrun and will continue to do so for the next few weeks. Our shoe draw winner for this month, courtesy of Randburg Runner went to Cheryl Leon, congratulations and enjoy the shoes! Another exciting parkrun will be launching on the 6th of April! For those of you who want a sneak-preview of the course, here it is… The course starts on a brick road next to the Management Office car park. A short 200m climb before a gentle downhill for another kilometer. Going past the first duck pond on a brick pathway before getting back onto the brick road. A left turn, down a few steps leads you to cross the tar road and going past the office blocks, a short steep downhill, keep left and enter the gate into the park. Turning left to start the first of two laps around the park. Look out for Blesbok, Springbok and impala, ducks, plenty birdlife, dassies and squirrels. Follow the path way in a clockwise direction for two laps. At end of second lap, enter out the gate, past office buildings, back onto tar road and a quick uphill to the finish. PLEASE DO NOT FEED THE ANIMALS AND STAY ON THE PATHWAYS IN THE PARK. Travel down Rivonia Road (in the direction of Sunninghill). Turn right into Kelvin Drive (90° Shopping Centre (has a Spar) is at this intersection - robot just after The Wedge Centre). Continue on Kelvin Drive over Bowling, at the top of Kelvin take the left hand split into Woodlands Drive. At the 2nd Robot turn right into The Woodlands (opposit the Johannesburg Country Club). Please Note: Only the West Gate and North Gate are open on Saturday mornings. We hope to see you all there for our inaugural event on the 6th! What do you do at parkruns: Besides running 5km chat before and after to fellow runners. How has parkrun changed your running: Replaced one of my weekly runs on my own along busy roads to running in a park with many running friends from earlier days who I would not otherwise have seen again. What do you like about parkrun: Sociability and wide range of abilities of participants. 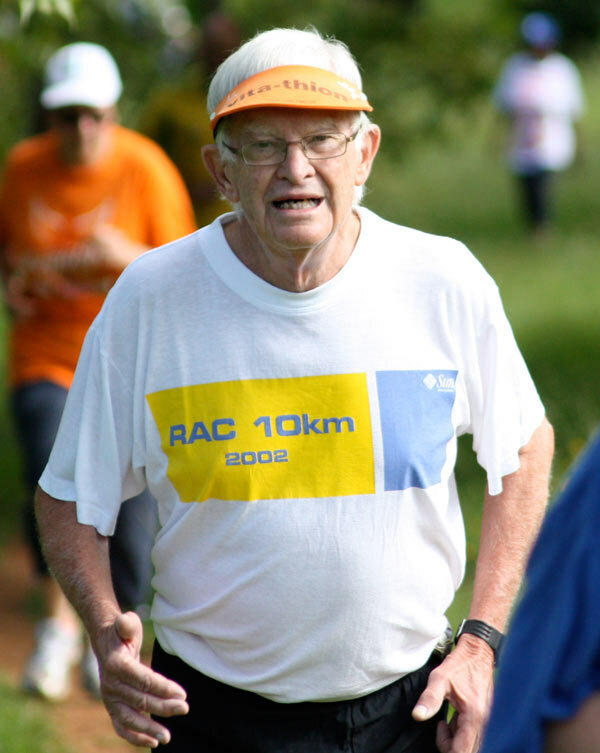 Most memorable or funniest parkrun moment: It is still early days of doing parkruns for me but probably the most memorable was my first at Bushy Park in London where there were about 600 runners, most very friendly and even met a South African while running. Volunteer workers (many of them!) were very helpful. The venue was very pleasant, but much easier than Roodepoort route. Coffee shop near parking area was good for breakfast.